Former San Francisco 49er Ray McDonald has been charged with domestic violence stemming from a domestic violence incident from earlier this year. 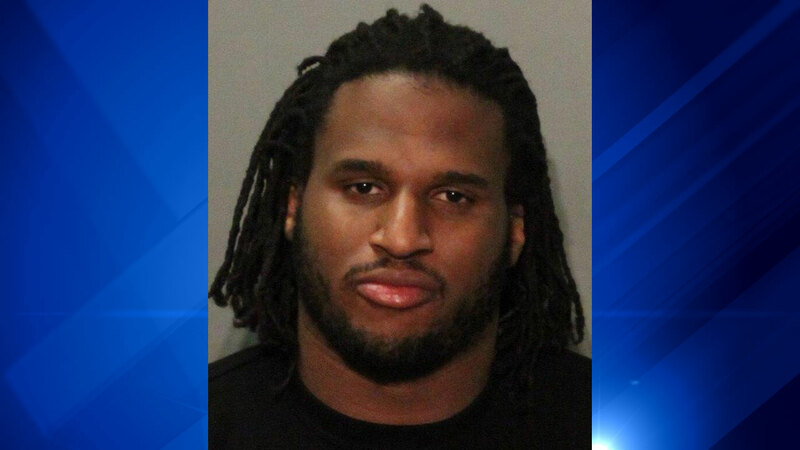 SAN JOSE, Calif (KGO) -- Ray McDonald has been charged with felony false imprisonment stemming from a domestic violence incident earlier this year during which he assaulted a woman as she was holding their 2-month old infant. The 30-year-old former football player is also charged with misdemeanor domestic violence, child endangerment and with violating a court order that he stay away from the victim. McDonald is scheduled to be arraigned Thursday at 1:30 p.m. at the Hall of Justice in San Jose. If convicted, his sentence could be up to three years in prison. "It is unconscionable and illegal for any woman to be trapped, whether it be behind a dining room table or in a relationship filled with fear and violence," said prosecutor James Demertzis. At approximately 4 a.m. on May 25, 2015, Santa Clara officers responded to domestic disturbance call at a home on Carlyle Court. The subsequent investigation revealed that the former professional football player had broken into the bedroom where the victim was sleeping. McDonald then then assaulted the victim as his driver tried to stop him and she tried to get away. McDonald eventually left the scene. As police were interviewing the victim, McDonald came back to the residence, but the driver sped away upon seeing police vehicles. San Jose police arrested McDonald at a different residence later that morning. On May 27, after he had posted bail, McDonald was arrested again when the victim and police arrived at the residence and discovered that McDonald was there in violation of the restraining order.